Deals with the writing of expository essays, principles of rhetoric, paragraph development, and the fundamentals of sentence-level mechanics. Frequent papers, some exercises. UC Davis students: This course must be taken for a letter grade. Please select that option during course enrollment. You must receive a grade of C or higher to satisfy the ELWR requirement. You may enroll in this course if you 1) have received a non-passing grade on the Analytical Writing Placement Exam (AWPE), and 2) did not receive an “E” designation on the exam. Or if you received an "E" designation on the AWPE, and you have completed the relevant coursework, you may take this course. UC Davis students may enroll and be approved to take this course only if you have met the prerequisites described on the Entry Level Writing Requirement website. Students in the Intro to Writing & Rhetoric course will develop their writing through language-intensive exercises, participation in community based writing in blogs and forums, and completion of a writing portfolio. Students will also have the opportunity to experiment with various writing forms ranging from the personal narrative, to a thesis-driven essay project. Intro to Writing & Rhetoric is a fun class where you should enjoy writing, reading, and getting to know your fellow students and instructor. At the same time this class rigorously prepares you for subsequent writing-intensive college courses. Request more information about Intro to Writing and Rhetoric today, and start sharpening your writing skills for college success! There are multiple sections for this course, each with a capacity of 19 students. There are no specified meeting times for the sections. To enroll, select any section that is not full. 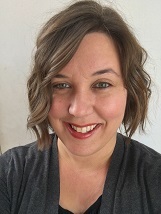 Emily Brauer Rogers (Continuing Lecturer, English, UC Irvine) is currently the Online and Instructional Technologies Coordinator at UC Irvine. She has developed online courses for UCI's 39A, B, and C courses and has experience in teaching and training other instructors about the best methods for online pedagogy. Her expertise in online courses has allowed her to also work as an Instructional Designer at UC Irvine where she has helped many professors transfer their classes online. She was one of the designers of the original online curriculum for 39A and has taught the course for six quarters online. She helped pilot the Canvas LMS for UCI's Composition Program and was instrumental in transitioning to the new LMS. She has continued to work with the 39A course as well as help administer 39B and 39C courses. Brad Queen holds a Ph.D. in American Studies and has taught and administered in Composition and Rhetoric for over a decade. His research interests include various topics in writing and literacy studies: class sizes for multilingual composition sections, assessment theory, genre, portfolio pedagogies, and theories of student agency. He teaches graduate seminars focusing on pedagogy, and undergraduate composition seminars whose themes engage the broad field of free speech and expression. For the 2015-2016 Academic Year, he will serve as Vice-Chair to the University Committee on Preparatory Education (UCOPE), a UC systemwide body that oversees the Analytical Writing Placement Exam, which is taken by approximately 15,000 students annually. Daniel M. Gross (Professor & Director of Composition, UC Irvine) runs a program with 14,000 enrollments annually, and which has offered fully online writing courses since Summer 2009. He has published and taught widely in the history and theory of rhetoric, specializing in the rhetoric of emotion. Relevant publications include Uncomfortable Situations: Emotion between Science and the Humanities (Chicago 2017) and The Secret History of Emotion: From Aristotle’s Rhetoric to Modern Brain Science (Chicago 2006), as well as articles in the field of writing studies that have appeared in the journals Pedagogy and Composition Forum. He has been teaching writing and rhetoric courses since 1991, his first year as a graduate student in the Rhetoric PhD program at the University of California, Berkeley.